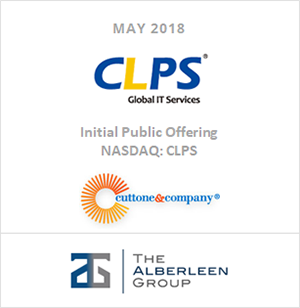 The Alberleen Group provides bespoke solutions that address the unique needs of family offices and middle-market companies. Backed by family offices, The Alberleen Group’s experienced investment team and global family office network offers forward-thinking advisory services supported by a diversified team of industry investment bankers. 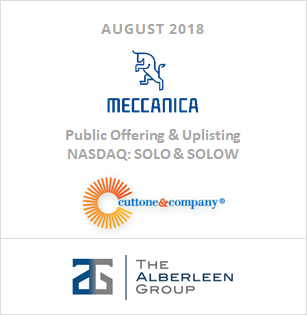 Founded in 2010 in the wake of the financial crisis, The Alberleen Group invented a space for investment bankers to incubate their best ideas. 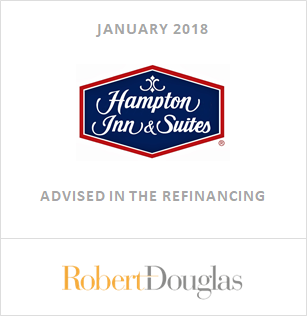 Now, we rely on our bankers for their deep industry expertise and work with them to create complementary opportunities for our partnerships with family office investors and privately held companies. The undersigned served as an underwriter for Electra Meccanica. The undersigned served as an underwriter for CLPS. The undersigned acted as Exclusive Financial Advisor to DeBartolo Development and OPTrust.